SelecTech, Inc.’s new automotive division recently installed flooring at Continental Automotive Group’s Seguin, TX location. SelecTech, Inc., a leader in the manufacture of innovative flooring products from recycled materials, recently started an automotive division for automobile manufacturers clients. Based out of the company’s corporate headquarters in Avon, Mass., the new division will feature customer service and marketing representatives specifically dedicated to serving automotive customers. In addition to ease of installation, SelecTech floor products are made from 70 percent recycled materials and are 100 percent recyclable. Another benefit to its automotive division includes SelecTech’s anti-static flooring products, specifically its FreeStyle ESD products. This type of flooring is typically used by industries that utilize electronics and sensitive data like electronics manufacturing, communications, aerospace, biotech and healthcare. As manufacturers rely more and more on computer technology, anti-static flooring can provide a safeguard for sensitive data. The Continental Automotive Group is one automotive manufacturer benefiting from SelecTech flooring products. 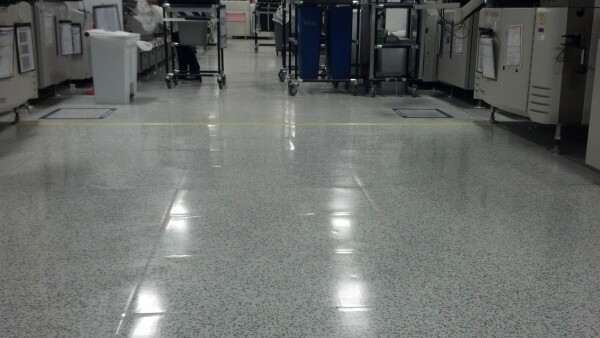 Currently, SelecTech flooring products are used at its Seguin, Texas plant. To learn more about SelecTech’s automotive division and other SelecTech products, visit http://www.selectechinc.com.